At the heart of Harrow on the Hill conservation area lies its village green, surrounded on all sides by a variety of local and nationally listed buildings. Many of these are the remnants of Harrow’s 19th century town centre – before Harrow expanded dramatically and its centre moved off the Hill.The oldest building by several centuries is the Kings Head Hotel whose gantry sign is the centrepiece of the green. According to its facade, there has been an inn or hotel on this site since 1535 and local legend claims that it was built on the site of Henry VIII’s hunting lodge.The Hotel was the centre of social and political activity in Harrow for several centuries, and thrived up until the 1970’s. in the 1980‘s a change of management lead to its rapid decline and closure, from which it never recovered. The building was saved from destruction by its eventual conversion to private apartments in 2001. The ownership of the gantry sign was overlooked by this development, leaving it to fall into disrepair. 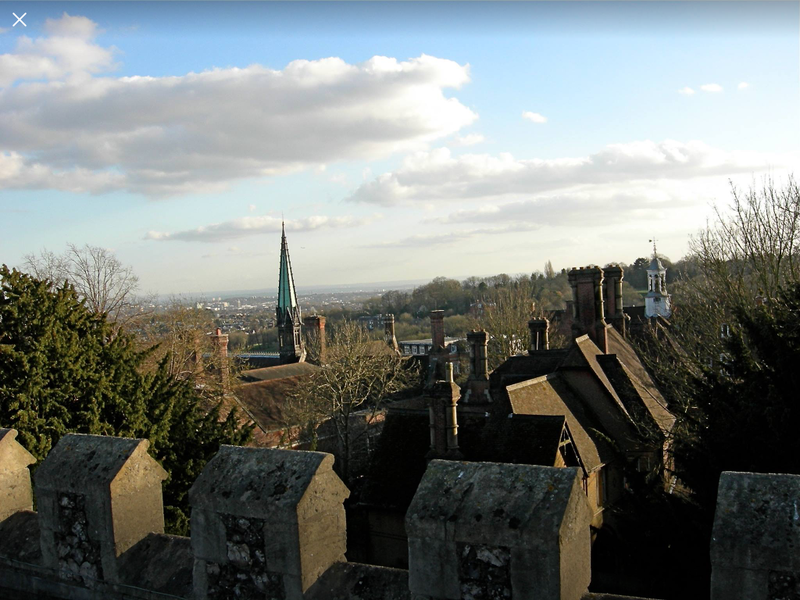 In 2009, the Harrow Hill Trust identified it as being in need of urgent attention. They began a project to conserve the gantry sign as a way of celebrating its 50 years, and also to retell and preserve the history of the King’s Head Hotel before its significant former life slipped out of living memory. According to Historians at CAMRA (CAMpaign for Real Ale), there may be as few as 10 gantry signs in the UK (and thus the world). The Kings Head’s sign is particularly rare as it is free standing on a green, whilst the majority straddle roads, attached to buildings on either side.the project is thus conserving an aspect of social history which has both local and national significance. For a detailed history of the Kings Head Hotel and its gantry, download gantry_project_pdf.